With the maiden test-firing of the Babur Land Attack Cruise Missile (LACM) on August 10, Pakistan has introduced a new weapon system with devastating military capabilities against India. The importance of Babur is twofold: First, it provides an attractive alternative to both ballistic missiles and attack aircraft for conventional war-fighting. This will lead to doctrinal changes especially within the two armies. And second, even as India does not yet have a comparable LACM, Pakistan has given priority to acquisition of its Babur LACM in large numbers. For example, one regiment of Babur (18 road mobile autonomous launchers in three batteries of six launchers each) is slated to enter service by 2008, implying one battery each year starting 2006. India, on the other hand, plans to induct one regiment of the land-version of BrahMos cruise missile only by 2017, implying one battery every five years starting the 10th defence plan (2002 to 2007). The government and the Indian Army appear to have missed the urgent need and operational utility of LACM against Pakistan. What India urgently needs is a cruise missiles policy, whose long term developmental focus should be threepronged: to improve BrahMos to hypersonic speeds, to work on a long range subsonic cruise missile with turbofan propulsion, and Cruise Missile Defence (CMD). There will also be the need to decide various platforms for cruise missiles, as being the prime target of the enemy these will be vulnerable. For example, the LACM can be fired from mobile launchers, hardened silos and submarines; the ideal of course will be to have a mix of all three. Regarding BrahMos, which is to be available in all three, sea, land and air versions, the need is to exploit it optimally. For example, there is good potential to use BrahMos in submarines, as has already been successfully demonstrated in the Russian Amur 1650 class. Consider a realistic naval firepower potential a decade from now: All Kilo-class submarines will be fitted with the Russian Klub 3E-14E LACM. With each submarine carrying 16 to 18 of these 300km range missiles, the navy will have a devastating firepower to employ in various tactical scenarios. This is not all. If instead of the Scorpene submarines, the navy gets the Russian Amur fitted with both Klub 3E-14E LACM and improved BrahMos missiles, even reduced submarine numbers will be made good by better capabilities. However, before venturing any further on the future of cruise missiles between India and Pakistan, two basic questions need to be addressed: What are cruise missiles? And how do these compare with ballistic missiles? A cruise missile is a dispensable, pilot-less, guided, continuously powered, endoatmospheric (stays within the atmosphere) vehicle that is supported by wings and is powered by the same kind of jet engine as an aircraft. Unlike a ballistic missile, that is powered and usually guided for only the brief initial part of its flight till it leaves the atmosphere, a cruise missile requires continuous power and guidance, since both the velocity and the direction of its flight can be unpredictably altered by local weather conditions or changes in the performance of its propulsion system. For instance, a ballistic missile is guided for the first five of the 20 minutes it takes to travel 5,000km; a cruise missile, which usually flies at subsonic speed, would require close to six hours of continuous guided flight to cover the same distance. Hence, guidance errors that accumulate with time would be almost a hundred times larger for a cruise missile than for a ballistic missile with a comparable range. Accurate arrival of a cruise missile at a target would be achieved with continuous inertial guidance only by correcting it from time to time with fresh information about the missile’s position. In terms of cost, cruise missiles are less costly to design, develop, procure, maintain and operate. For example, in approximately Rs250 crore, developing nations like India, Pakistan and China could acquire up to 100 cruise missiles. An equal investment for ballistic missiles would purchase only 10 to 15 missiles and three transporter-erectorlaunchers. In operational terms, cruise missiles are better suited than ballistic missiles for use with conventional warheads as their accuracy is far better. The aerodynamic stability of the cruise missile permits the use of less-sophisticated and therefore, less costly guidance and control methods than in the case of ballistic missiles, which undergo the stresses of re-entry into the atmosphere and high speed. For example, cruise missiles can receive satellite navigation corrections all the way to the target from the US Global Positioning System (GPS) or Russian Global Navigation Satellite System (GLONASS) leading to 10 metres Circular Error Probability (CEP is a measure of accuracy, defined as the radius of a circle in which 50 per cent of missiles are successfully delivered). Another appealing operational feature of cruise missiles is that they can be placed in canisters, which makes them easy to maintain and operate in harsh environment. Their relative compact size offers more flexible launch options, more mobility for ground-launched versions, and a smaller logistics burden, which reduces their battlefield vulnerability to detection – and thus improves their pre-launch survivability. Moreover, cruise missiles dictate no special launch pad stability requirements and can be launched from ships, aircraft and ground launchers with ease. 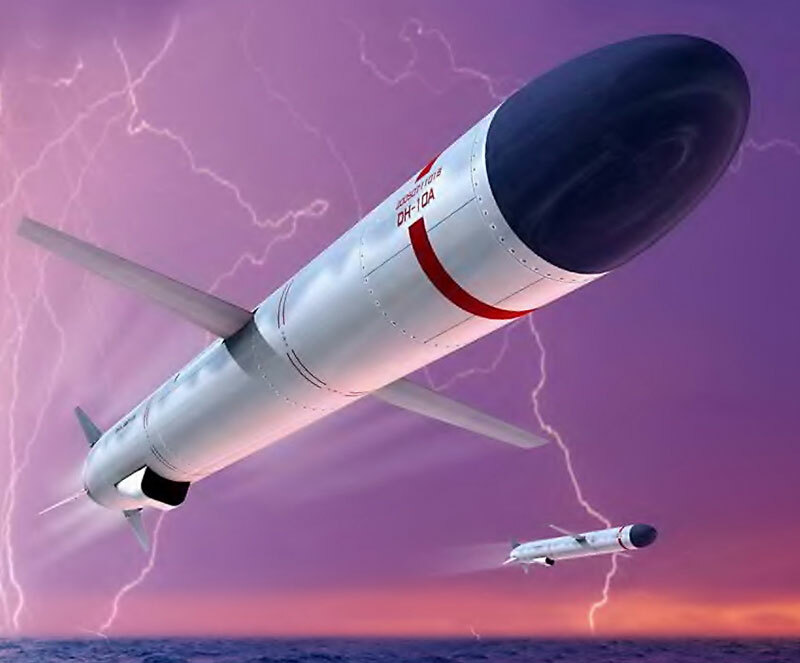 Besides being an inherently easier and cheaper platform for precise delivery of conventional warheads, cruise missiles also make a better platform for an effective dispersal of chemical and biological agents. Most importantly, cruise missiles can fly low and hence pose severe detection challenges even for airborne radars due to ground clutter. Moreover, cruise missiles’ exhaust plumes are not generally detected by launch warning systems, and unlike ballistic missiles, their flight paths are unpredictable. Given the fact that reductions in radar cross-section are easier to accomplish in cruise missile designs than in manned aircraft, cruise missile pose a formidable challenge to modern air defence systems. In comparison, at least to a limited extent, defences against ballistic missiles are available. Examples are the US improved Patriot designs and the Russian S-300 dual mode (air and missile) defensive systems. In more specific terms, the operational importance of LACM owes to the advances in propulsion (engine), guidance and navigation technologies. The air breathing engines for propulsion are of two types: turbojet and turbofan. Turbofan engines consume much less fuel than turbojets of equivalent size; hence are more complex system and extremely expensive. Accordingly, turbofan engines are considered suitable for long-range cruise missiles with ranges between 600km to 2,000km. At present, only a few advanced countries have mastered the turbofan propulsion technology. Interestingly, China is amongst them. In 1994, the Clinton administration in the US approved a half-billion-dollar sale of turbofan engines by AlliedSignal to China for use in business aircraft. These engines were reverse-engineered by the Chinese to upgrade their Silkworms Anti- Ship Cruise Missiles (ASCM) to 600km range. China publicly unveiled its WS500 turbofan engine (subsequently used in Babur LACM) at the Zhuhai air show in late 2004. Developed by the Chinese Gas Turbine Establishment, the WS500 is claimed to produce around 1,125lbs of thrust. By comparison, the US Tomahawk engine produces 700lbs thrust. The turbojet engine is more widely used in cruise missile with ranges up to 500km referred to as tactical missile. The ramjet propulsion engine is a derivative of turbojet engine. Unlike in the case of turbojet propulsion that produces subsonic speeds, in ramjet, adequate pressure is built up within the engine to produce supersonic speeds of Mach 2 (Mach 1 is equivalent to the speed of sound which is 1,000km per hour) to Mach 4. The main disadvantage of the ramjet is that it requires to be boosted from static to a suitable high velocity, usually around Mach 2, to create a high enough pressure (called ram pressure) for the ramjet propulsion to work. However, a ramjet is much simpler than turbojet or turbofan propulsion. Regarding the navigation and control of cruise missiles, it can be done by various methods that include simple mid-course correction by pre-programmed autopilot, and terminal guidance by passive radio frequency homing, radar, or passive Infra Red. The Inertial Navigation System (INS) that uses accelerometers and gyroscopes that detect motion and calculate changes in relative position are not very helpful with cruise missiles given their slow motion and long range, adequate inaccuracies accumulate that make it unreliable for use in conventional missions. The answer is to integrate GPS with INS. The problem with the GPS is that the US defence department has intentionally added an inaccuracy in the system called Selective Availability (SA), so that only the US military gets the accurate signal codes for its use. Interestingly, US companies themselves have created a technique called the Digital Ground Precision System (DGPS) which has removed most of the inherent GPS’s SA inaccuracies. Commercial DGPS are available in the open market and India and Pakistan are amongst the many countries that have sought the DGPS. Probably what makes cruise missiles an attractive weapon system for developing countries is the stronger consensus amongst the Missile Technology Control Regime (MTCR) members that restricting ballistic missiles is more important than cruise missiles and Unmanned Aerial Vehicle (UAV) systems. This has motivated many countries to upgrade ASCM and UAV to LACM. Moreover, the MTCR threshold of 500kg payload and 300km range is more suited for ballistic rather than cruise missiles. From an engineering standpoint, it is relatively easy to scale-up the range of an existing cruise missile system than a ballistic missile. The technology required to produce a 600km range cruise missile is not fundamentally different from that needed for very short-range cruise missiles. Hence, UAV technologies falling clearly below the MTCR threshold can be exported and applied to the development of long-range cruise missiles. Moreover, the structures, propulsion, autopilot, and navigation systems used in manned aircraft are essentially interchangeable with those of cruise missiles. Against, this backdrop, Pakistan’s Babur and India’s BrahMos need to be assessed to determine their operational capabilities. Babur’s two technology advantages are its turbofan propulsion, and its navigation and guidance system comprising the radar altimeter and a digital imaging infrared seeker. Unlike India that started with the low end of technology by making BrahMos into an ASCM to be upgraded to LACM, Babur’s evolution appears to be the other way round. It has been developed as a long-range LACM and its naval version will be made in limited numbers to be carried by F-22P guided missile frigates. The radar altimeter enables the cruise missile to fly as low as 20m over water, 50m over moderately hilly terrain, and 100m over mountains. (This capability makes the missile difficult to detect with ground-based radar). Fitted with turbofan propulsion, a cruise missile is capable of ranges up to 2,000km at low altitude and perhaps 50 per cent more if the first 1,500km are flown at higher altitude and the rest at tree top level. As a thump rule, more fuel is consumed if a cruise missile travels low, and inversely, less fuel is expended if a cruise missile travels at higher altitudes within the atmosphere. Given these technical parameters, the report that the August 10 test-firing of Babur achieved a range of 500km at a low cruising altitude of 100m at a speed of Mach 0.7 sounds plausible. Moreover, Babur has tremendous inherent potential to be made into an accurate long range LACM. The introduction of Babur missile by Pakistan coincides well with the Chinese focus on cruise missiles with longer ranges since the Nineties. For example, China reportedly has a number of cruise missile programmes underway. These include the YJ-62 long-range ASCM, as well as air and ground launched derivatives. For missile guidance, China is working on active radar guidance for terminal guidance in addition to electro-optical seeker for LACM. It will be appropriate to assume that China, which cares little about international non-proliferation treaties and obligations, will share advanced cruise missile technology with Pakistan. On the other hand, probably the biggest limitations of BrahMos are its 290km range and 300kg warhead, well under the MTCR range threshold of 300km and 500kg. Fitted with ramjet propulsion, BrahMos rises up to an altitude of nearly 10km to 12km, before the ramjet propulsion takes over to provide the missile with a speed of Mach 2.8 during the cruising phase. BrahMos advantage is that with its high speed, it is capable of travelling its maximum range in four minutes. Even as the missile during its initial phase will provide a sizeable signature for the enemy acquisition radar, there will be little time to take counter measures to stop the missile. The BrahMos LACM version will be provided with an Infrared missile seeker with an inbuilt camera to provide simultaneous photographs of the target to minimise collateral damage. Even as India and Pakistan have taken different propulsion routes, much will depend upon how the cruise missiles are employed by the two sides. Indian and Pakistani armies are matched at the operational level of war. While a tactical level refers to a single battle, the operational level implies a series of battles in a given theatre of operations. For the Indian Army, an army command constitutes the operational level of war. Unlike the tactical level where a 3:1 numerical superiority is advocated for a decisive victory, the operational level can be successful because of good firepower, co-ordination, training, morale and motivation, and surprise despite fewer overall numbers in terms of manpower and equipment. The key to Pakistan fighting a conventional war below the nuclear threshold level will depend on two factors: One, Pakistan must continue to maintain an operational level parity with India. This does not imply that both sides match weapon system for weapon system. However, this means that a new weapon system by one side should have a match with the other side. And two, India will need to carefully identify Pakistan’s nuclear threshold level sector by sector. Pakistan’s problem is not that it lacks geographic depth, but that too many strategic targets and important cities are close to the border with India. An India-Pakistan war will essentially be an air-land battle where air and land campaign will begin together. Apart from the defence of national airspace, concepts of joint air, land and sea warfare are expected to remain largely theoretical. This will lead to much waste and duplication within the three services. The biggest casualty will be results in limited time, which is at premium in a short duration war. Pakistan’s armed forces are not monolith either and have repeatedly displayed disunity of effort. The synergistic effort of closely coordinated joint operations is not expected to be available to either side. The induction of nuclear weapons and ballistic missiles by both sides has made a war limited in time and space and hence objectives. International pressure on both sides to end the war at the earliest would be enormous as compared to previous wars between India and Pakistan. For this reason, both sides will force the opponent by a shallow penetration to expose its main offensive forces to battle. In fact, options exist for India to not allow Pakistan’s army reserve north to deploy in a coherent form. In the deserts, allowing Pakistan’s army reserve south to get into waterless desolate tracts before being encircled and destroyed would keep matters below the nuclear threshold level. The name of the game will be to fight an economical war where firepower and manoeuvre will predominate to achieve the same objective – a destruction of enemy strike reserves without physical occupation of heartland territory. The doctrinal shift will emphasise the destruction of forces and supporting infrastructure rather than pose an overwhelming threat to territorial integrity. The latter has to be achieved by political subversion, which is what Pakistan is doing in Kashmir. For this reason, an all out conventional war is not an attractive option for Pakistan. Unfortunately, the low level and murky end of the proxy war does not look like war in India’s collective perception, which understands war as aircraft zooming in the skies and enlarged tank columns. From India’s perspective, the limited political objectives of going to war could be to check unabated and increased cross border terrorism, release psychological pressure on security forces charged with human rights violations, and force Pakistan to the negotiating table to sincerely discuss the Kashmir issue. However, after the failure of Operation Parakram (the 10-month long military stand off with Pakistan from December 2001 to October 2002), the intense United States’ involvement in Jammu and Kashmir, and the ongoing peace process between India and Pakistan, chances of a war in the near future have receded. Both sides are busy with plugging chinks in the armour, implying three things: acquisition of equipment to fill operational gaps, upgradation of existing equipment for day and night war-fighting, NBC capabilities, and procurement of force multipliers. Against this backdrop, there is a need to assess the doctrinal and operational changes that have been forced by the induction of ballistic and cruise missiles for a conventional war. First and foremost, there now exists a doctrinal asymmetry between India and Pakistan’s air-land battle forces. Unlike India, Pakistan’s military strategy will revolve around its ballistic and cruise missiles to compensate for lack of comparative air power and land firepower. Pakistan’s ballistic missiles are likely to have a dual operational tasking: to provide nuclear deterrence and nuclear retaliation if deterrence fails or if Indian conventional forces cross the nuclear threshold level in a sensitive sector. Unlike India, Pakistan’s preferred nuclear delivery vehicle will be its ballistic missiles rather than aircraft for two reasons. First, Pakistan Air Force has limited assets that will not be frittered away on nuclear delivery that will require a large number of accompanying aircraft (in air defence role, for suppression of enemy’s ground based air defence systems, and for Electronic Counter Counter Measures) to protect and guide aircraft carrying nuclear weapons. And second, the Pakistan Army chief, who has always been more equal than the other two service chiefs, will always prefer to have both nuclear weapons and delivery systems under his own wings rather than look up to the air force chief for delivery of nukes. The other operational tasking for ballistic missiles will be with conventional warheads to complement and compensate for limited Pakistan Air Force assets against a bigger and a superior Indian Air Force. In order to make up for the disparity in air power and to deter the threat from Indian ballistic missiles, Pakistan is certain to employ its ballistic missiles with conventional warheads in pre-emptive mode. This is not all. Pakistan is also expected to fight the deep land battle with ballistic missiles as being the main source of disruptive firepower, which will include economic targeting (power stations, gas and oil installations, oil tank parks and so on). However, given the advent of television, an added problem for both sides (much more for Pakistani military planners as their military strategy revolves around ballistic missiles) will be to minimise collateral damage. For these multifarious tasking which straddle the conventional and nuclear delivery, Pakistan has assembled an array of operational ballistic missiles. The Pakistan Army has a series of Chinese origin solid fuelled ballistic missiles with ranges from 300 to 750km with payloads from 500 to 1,000kg. These missiles are expected to be employed with conventional warheads. For the nuclear weapons delivery tasking, the North Korean origin liquid propellant long-range Ghauri missiles appear to be a good choice. As these missiles are for deterrence purposes, Pakistan is likely to have them in limited numbers. On the other hand, Pakistan has set up production capability for some of its solid propellant ballistic missiles to match India’s Prithvi. Thus the picture so far is as follows: Pakistan relies on its ballistic missiles for both nuclear deterrence and for use with conventional warheads. It was to convey this military intent that Pakistan conducted a series of ballistic missile tests during Operation Parakram. Pakistan’s inferiority in the air force will be made good by its ballistic missiles armed with conventional warheads to maintain the necessary operational level parity with India in a conventional war. The problem, however, with this military strategy is two-fold: One, given the short ballistic missile travel time, and considering that India and Pakistan do not have an understanding on ‘stability regime’ for ballistic missiles, the chances of India misreading the warhead employed by Pakistan exist. Moreover, Pakistan’s declaratory policy does not rule out an early use of nuclear weapons. This could lead to an unintended exchange of nuclear weapons, something both sides will endeavour to studiously avoid. And two, Pakistan’s ballistic missiles are not so accurate. This would worry Pakistan military planners, as India will use the television to the hilt to show civilian casualties by Pakistan ballistic missiles, resulting in a major psychological setback for Pakistan. The answer out of this dilemma has been provided by the Babur cruise missile, which is certain to be more accurate than the ballistic missiles. Once Pakistan raises the regiment of Babur missile, it will prefer its use with conventional warheads. In all probability, Babur and Ghaznavi (Hatf- III which is Chinese M-11 ballistic missile and compares with India’s Prithvi) alone will have production capability infrastructure. This implies that Pakistan will use both its ballistic and cruise missiles with conventional warheads. However, the preference over time for certain depth targets that require accuracy will go to Babur cruise missile. Having lost the ballistic missiles case to Pakistan, India will now do well to first define its ballistic and cruise missiles policy. While the ballistic missile story is documented (FORCE, October 2003), a few benchmarks are worth highlighting. India first test-fired its indigenous Prithvi battlefield ballistic missile on 25 February 1988, and its Intermediate Range Agni ballistic missile on 11 April 1989. These tests presented two problems for Pakistan: First, there was a need to acquire a comparable Prithvi capability, and its manufacturing capability as well. If Pakistan had failed to do this, it would have had a detrimental effect on Islamabad’s Kashmir policy by restricting its military options. And second, there was a need to acquire a few longrange ballistic missiles for delivery of nuclear weapons. This was accomplished with Chinese direct and indirect help between 1989 and 2000. Pakistan’s point man for these clandestine deals was the now disgraced nuclear scientist A. Q. Khan. To be fair to Khan, without him Pakistan would not have collected the variety of ballistic missiles that it did in so short a time. At present, Pakistan has the Chinese solid propellant Abdali (Hatf-II), Ghaznavi and the Shaheen series, and the North Korean liquid propellant Ghauri missiles. Even as Pakistan was working furtively on both the nuclear weapon and ballistic missiles fronts, it ensured that the United States kept a constant pressure on India to go slow with its indigenous ballistic missiles programme. Unfortunately, India was waiting to be arm-twisted. With empty coffers and a weak leadership, the P.V. Narasimha Rao government (1991 to 1996) was more than willing to fall in line with the US diktat. The Vajpayee government did the same but for a different reason: it was unprepared for the world’s criticism after the 1998 nuclear tests and decided to cosy up to the US. The outcome of all this kowtowing is too evident. 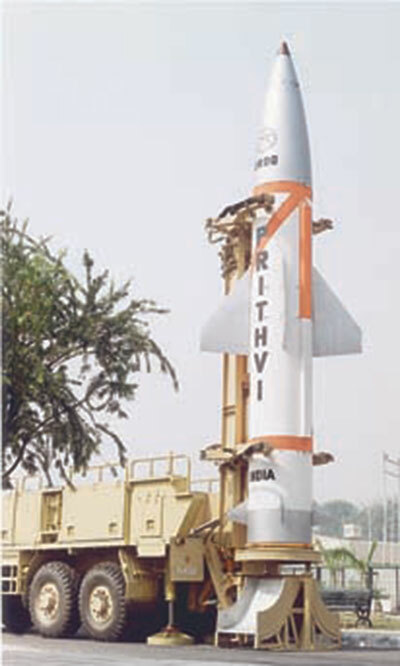 India has a single operational Prithvi missile group with the army, and a Prithvi missile squadron with the air force. The missile uses liquid propellant with its many disadvantages; the key being a long logistics train and cumbersome preparation in the field. One Agni regiment comprising the 700km missile has been nearly raised, and the other with the longer-range version is expected to enter service by beginning 2006. A delay, however, will not surprise the insiders. Moreover, it is doubtful if for technological and political reasons, presumably both in equal measures, Agni-III with a 3,000km range will be testfired by end of this year. The government, however, in principle has cleared the development of Agni-IV with a range of 3,500km as well. Regarding long-range ballistic missiles, two challenges facing the Defence Research and Development Organisation are: accuracy and consistency, and stage separation of the missile rocket (outside boosting whether by wraparound or tandem boosters can enhance range to a limited degree only). Regarding Prithvi, the need is to have a solid propellant, which will imply a new design and has been ruled out for the near future. On the question of Ballistic Missile Defence (BMD), things are still at the conceptual stage. The indigenous medium range surface-to-air Akash missile was proposed to be made into an anti-missile system. Considering that Akash is yet to be accepted by the user as an anti-aircraft system, this is into the distant future. Meanwhile, talks with the United States on the BMD are elementary with the emphasis on getting India to purchase the Patriot system. Indian delegations have been given presentations on the US’ BMD thinking, and they have attended a few workshops as well. Needless to add, these US interactions are unclassified and of a probing nature. 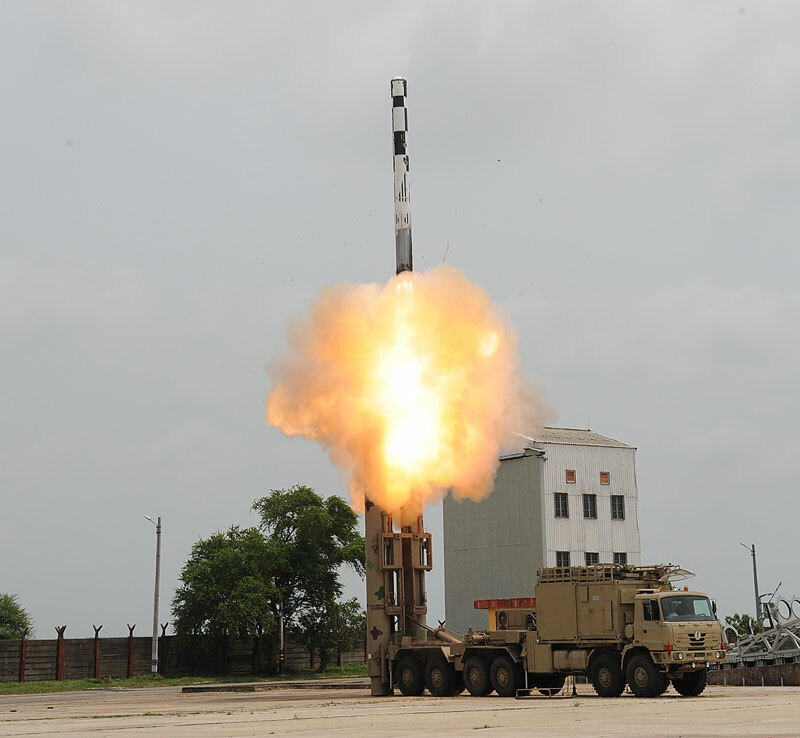 Pakistan, however, has utilised this perception of Indo-US collaboration on BMD as pretext for Babur test-firing with suggestions that Pakistan will soon test-fire a 1,000km range cruise missile. The truth is that in India, the only real success story regarding ballistic and cruise missile is the Indo-Russian BrahMos cruise missile. There is the need to built India’s missile policy around this. To begin with, keeping in line with the world’s trend as demonstrated by the US, Russia, and China, India should focus on cruise missiles. Ballistic missiles are no longer an attractive option for delivery of conventional and non-conventional warheads. Even as there is little need to raise more Prithvi missile groups, the Agni missile development will continue to remain constrained by the US’ pressure. Probably, the time has come to abandon the further testing of Agni series; a regiment each of Agni-I and Agni-II should suffice. 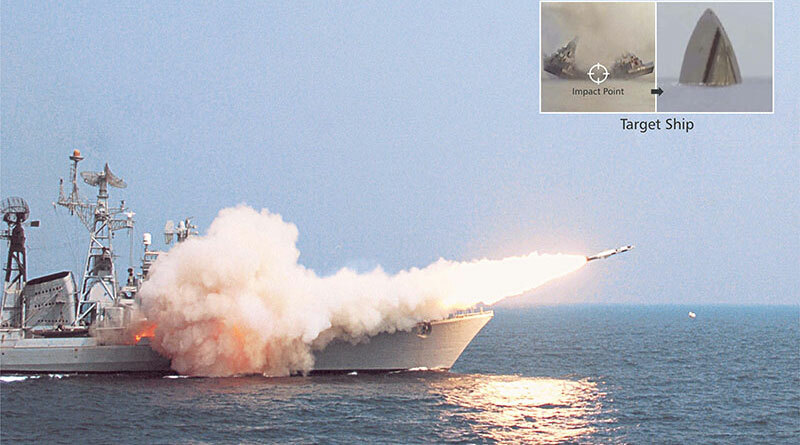 With kinetic energy nine times more than Babur, BrahMos is a formidable supersonic cruise missile. Considering that ramjet propulsion can achieve up to 600km range, BrahMos’ 290km range appears to be a self-imposed restriction. Given that the BrahMos has already demonstrated an accuracy of less than one metre at its full range (because of the INS and GPS combination); there is a need for India to exploit the full range of the missile. This will not be easy, as Russia will not allow India to transgress MTCR limits in this joint venture. The answer lies in the DRDO starting a series of stand-alone cruise missile projects, one of which could look into two possibilities: to increase the range and payload of cruise missile with ramjet propulsion, and to improve its guidance. At present, BrahMos uses the GPS. It is known that the Indian Space and Research Organisation are working on an indigenous GPS, which has been partially successful. Once accomplished, this will be a major breakthrough in providing secure and improved guidance to cruise missiles. Another cruise missile project should concentrate on scramjet propulsion, to take the missile to hypersonic speeds of Mach 10. Alongside, there is a need for larger and better payloads to accommodate nuclear and conventional sub-munition warheads. However, this will not be easy. In a rare candid admission, while recently delivering the Prof. Brahm Prakash Memorial lecture at the Indian Institute of Metals in Bangalore, the DRDO chief, M Natarajan said: “The lack of success in developing indigenous propulsion systems for the country’s major programmes was a cause of concern. Affected are programmes such as the aero engines for fighter aircraft and unmanned aerial vehicles, engines for tanks and naval propulsion and ramjet and hypersonic propulsion for missiles.” It may be recalled that conceptual work on hypersonic propulsion was started in 1993 by the then DRDO chief, Dr APJ Abdul Kalam (the President of India). In addition to the engine itself, the need will be for composite materials that can withstand high temperatures for trans-atmospheric flight. Unfortunately, material management has never been India’s strength and outside help (Russia) would be needed. Probably the most daunting challenge will be the Cruise Missile Defence (CMD) especially when futuristic missiles are expected to have hypersonic propulsion. The answer to this lies in directed energy weapons, which derive their destructive power from electromagnetic energy or subatomic particle beams aimed against an incoming warhead, and travel close to or at the speed of light. For example, laser light can be used as directed energy weapon. Laser guided weapons differ from the antimissile weapon systems in three fundamental ways: One, in laser weapons destructive energy is transported to the target in the form of an intense beam of electromagnetic waves rather than in the form of an explosive charge carried inside a missile or shell. Two, this energy travels at the speed of light, that is, 3.10 (to power 8) metres per second, compared with 1,000 to 2,000m per second that a supersonic missile should be capable of. And three, the laser beam can damage a target only if it physically strikes it. It is axiomatic that laser weapons are best directed from space. While India is in no way near such advanced research and in principle opposes militarisation of space, it must start appreciating the non-military applications of space. And this is what the Indian Air Force has been saying since some years. Speaking recently at the second anniversary of FORCE, the air force chief, Air Chief Marshal S.P Tyagi said that: “Our assets in space must grow and we need to exploit them in a better manner. 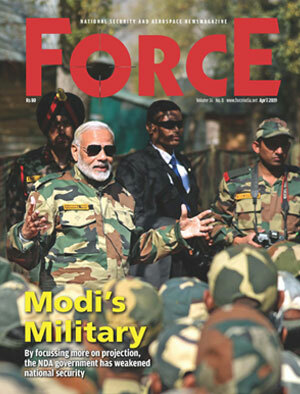 I do believe that there has to be an organisation which we can call Aerospace Command which must take care of our security needs there.” What the air force chief is talking about is just the beginning. Plenty can be achieved provided the scientists and the defence forces collectively appreciate the full potential of cruise missile.